THANK GOODNESS for Holly. When our venue insisted we had to have a same day wedding coordinator, we were initially resistant because we were trying to save money. However, when the day before the big day actually came around and Holly showed up to our rehearsal, I realized just how lucky we were that we had her with us. Holly’s calm, kind, and thoughtful presence ran the show so that I could focus on being with my loved ones. She checked with me for anything important, and made the zillions of small issues that pop up just disappear. She got all our ceremony flowers trimmed and into the reception vases, set up all the reception centerpieces, our placecards, front room table, and made sure everything was perfect. She then got it all deconstructed and packed it away for us afterwards so the venue wouldn’t charge us for keeping it there overnight. She collected all our gifts and got them into our room for us, and kept everthing running smoothly and on time through the whole night. She communicated with all our vendors effectively, keeping everyone on the same page. I had no idea how hugely stressful the day of the wedding would be, and I honestly can’t imagine having done it without Holly (our original plan! We were so naïve!). Every penny spent to pay for Holly’s time there was worth it and waaaaay more critical to the success of the day than so many other expenses. Holly, please know how grateful we are to you for making our wedding day run as smoothly as you did, and for your elegance, kindness, and warmth as you did it. Rebecca Podmenik of Holly Kalkin Weddings, is a pleasure to work with. I collaborated with her on a recent wedding in Oceanside and I felt that her customer service would make any bride happy. She was extremely professional and quick to respond to any of my questions. If you are looking for a wedding planner, I highly recommend this team! Holly was our wedding coordinator for our recent La Jolla wedding. From day one Holly was organized, flexible, and thoughtful. Since we are based in the Bay Area, it was very important to find a wedding coordinator that was very communicative and accessible. We were so glad we found Holly because she is easy to work with. Holly was helpful in working with us to figure out the ceremony and overall event flow. Holly led the wedding rehearsal and made everything feel easy! We handed off a bunch of items (place cards, photo frames, decor, etc.) that we wanted set up for the wedding and by the time we showed up, Holly had set up everything exactly as we had imagined. The wedding itself went off without any problems, or if there were any problems, we didn’t know about them because Holly took care of them. First thing to note is that Holly was definitely the BEST investment we made throughout our entire wedding planning process. When we hired her as a day of coordinator, we knew she would be helpful on our day, but we had no idea just how amazing she was until the weeks leading up to our wedding. We seriously cannot say enough about her. She is organized, efficient, task and detail oriented, and so incredibly sweet. There are so many details we didn’t think about during our initial planning and we dont know how we would have made it through the final week without her. She sent out a comprehensive, detailed itinerary out to all our vendors a week ahead of the wedding and from that moment on she was the primary point of contact going forward. This was huge for my husband and I as we were busy the entire week visiting with family and friends and had ZERO time to stay directly connected with our vendors. Holly allowed us to ENJOY our day. I can also say that our day remained ON schedule and I worried about NOTHING the entire time. Both my mother and myself are A-type and natural worriers — once we met with holly the first time, we knew we had nothing to worry about. She even went as far as to help up bring back equipment so that we wouldn’t get charged and added the sweetest little details to our sweetheart table bringing our overall vision to life. If we had to do it all again, there is no amount we wouldn’t spend to have Holly as our right hand gal throughout the process. We highly recommend her loyal and dedicated services. Brides, stop what you’re doing and book Holly immediately! She’s exactly the type of person you want on your side on your big day: kind, organized and incredibly on top of the ball. There were literally no issues on the day and I’m confident that’s because of Holly. I can only say that Holly and her staff were absolutely indispensable and I cannot recommend them highly enough! Our daughter’s wedding was held at a private home in San Diego, and we live in Arizona. There was so much work to be done with set up, timing and the logistics, it was overwhelming to us. At our first meeting, Holly came completely organized and prepared which immediately set our minds at ease. On the day of the wedding, Amelia’s help was crucial and she just took over and did absolutely everything! The wedding was held on October 3rd, and the San Diego heat was intense while they were setting up. I did not need to worry one bit, because everything was set up to perfection and the evening was a magical night for everyone. I recommend Holly and Amelia so highly- they are perfection! Holly is so amazing! There are so many great things to say, but I think the most telling testament to Holly’s skill is that she enabled my now-husband and I to enjoy every second of our wedding. We didn’t worry about a thing since we knew all the details were in Holly’s extremely capable hands. We just got married at the Thursday Club on Sept. 26, 2015, and the entire day was perfect. Holly ran the rehearsal the day prior, and then she really ran the show from there! And not only was Holly wonderful during our actual rehearsal and wedding…her help and advice about our wedding-day itinerary was so incredibly helpful and reassuring in the months leading up to the wedding. 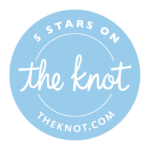 Another great thing was that our family and bridal party members loved working with Holly and commented on her friendliness and professionalism. We will always be grateful for Holly’s role in making our day so special and we would definitely recommend her highly for anyone looking for a coordinator!!! Holly’s expertise was invaluable to us. We were so grateful to have her guidance in every detail especially since we live in Arizona, and my daughter chose to be married in San Diego. Robyn coordinated a smooth wedding day, and I was free to enjoy the wedding without worries. Holly and Robyn’s services exceeded our expectations. Myles and I are so happy and deeply grateful we chose you as our day of coordinator! Thank you for going above and beyond your duties and helping us through the whole planning process. Please accept this small gift as a token of our gratitude for all the hard work you did to make our wedding go smoothly! Thank you again for being so kind! I will recommend you to all my friends that marry in SoCal! Thank you for the hand written note and photos (the photos are still on our fridge!). Honestly, we cannot thank you enough for all you did around and during our wedding. Our day would not have been nearly as special without your help. We are SO happy that we hired you. There are no words. We wish we could get married more often because then we would to hire and get to work with you more often! You are absolutely amazing. Thank you, thank you times a thousand. Hope you’re well! Sorry this is long delayed (we just got back from our honeymoon), but I wanted to send my thanks to Robyn, who was absolutely amazing at our wedding! We didn’t have to worry about anything and she did a great job coordinating and setting up/breaking down. Everything went better than we could have imagined. Please send along our thanks to her. Thanks to you, our timeline worked perfectly and all the details were taken care of. We are so grateful to both of you and the assistants! Thank you SO much for the thoughtful note and pictures! We couldn’t believe how much more colorful everything looked in a printed out photo. We also wanted to thank you again for all of your hard work on our wedding. It was the absolute best day and you played a huge role in the success. I wasn’t stressed for a second during the entire day, everything looked so beautiful, and I don’t think I was asked anything by any of our vendors….even my mom was shocked about that one and that’s not easy! Holly and Robyn were everything I needed to make sure our wedding was beautiful. They exceeded our expectations and the flow of the event was seamless! From our initial consultation, Holly was warm and I felt a TRUST in her in the most important day of our lives. She was seriously available night and day to help make sure this wedding would be memorable! She even came to our home to work out the logistics of having a backyard home wedding be successful! She answered all my emails to the hour and called all our vendors and created a beautiful timeline of the wedding to ensure everything was promptly on time! Robyn was my day of coordinator and she was absolutely everything I could ask for on our wedding day! She was at the house to make sure al the vendors executed my designs to high quality expectations, and even more, she was at the rehearsal coordinating line up and that everyone knew the timeline for the day! The day of seemed to flow without a hitch! Robyn arrived at the ceremony and checked up on the ceremony design and communicated with everyone any questions they might have! During the reception, she kept everything flowing according to the timeline! She even did extra work such as filling our Sangria Bar, lighting ambient candles at sunset, and helping the catering team! Everyone complimented us on how organized the wedding was and we honestly couldn’t have done it without Holly and Robyn. Love this company and I am recommending all my friends and family as well as future brides that THIS IS THE DAY OF COORDINATOR you want if you want a flawless, gorgeous wedding! Thank you so much for everything. We had a blast at our wedding and everyone commented on how smoothly the day went. Thank you for everything! Thank you for all of your hard work. You were both amazing! Holly, you kept everything organized leading up to the event despite my disorganization, and Robyn, you were excellent day of! The venue did not set up our chairs correctly and Robyn made sure it was fixed. Craig did not forget that she saved him a special beer. Everyone in the wedding party commented on how calm but fun Robyn was in helping us through the day! The best man even nabbed a photo with Robyn. Thanks so much! I just wanted to write you and let you know how AMAZING my wedding turned out because of you and Robyn. You were a great organizer during the process and Robyn was so awesome. I felt so comfortable with her the minute I met her, and she made my day turn out exactly how I had imagined. Even my family and friends commented on how good she was. I really cannot Thank you both enough. I am off to my honeymoon tomorrow, but when I get back I will definitely be writing a Review on yelp. If there are any other reviews I can write for you guys, let me know. Thanks again! 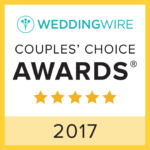 We wanted to thank you again for making our wedding day spectacular! It is clear that what you do is a labor of love and you are so passionate about it. You are really providing such a gift to people, you don’t even know. You are living a life of service to those around you. I can’t imagine our day without you. You were there for us in so many ways, from constant emotional support to logistical support. We would not have had the beautiful lawn ceremony without your expertise working with hotel staff. We thought we would have to compromise for weather and you just took the compromise we made and kicked it to the curb where it belonged. Never in my wildest dreams did I think I would get to walk down from a balcony overlooking the ocean on to the greenest of grass and down a real aisle! You gave us such a gift with that! You took our stress in stride and reassured us that it was normal. There are no words to describe how amazing you are! Thank you so much! Thank you so much for all of you help with the wedding. You went above and beyond to always make us feel comfortable and reduce pre-wedding stress. We really appreciate your attention to detail while remaining laid back! We are luck to have found you. I will definitely be recommending you to all of our friends. Thank you so much for all of your help. You are amazing and made our day flow so smoothly. We couldn’t have done it without you. Everything looked so good, so thank you so much for setting up and organizing and cleaning and I could go on and on. We appreciate you and couldn’t have asked for a more perfect person to help us on our big day. You are the best! Thank you so much for a magical day yesterday! You rocked and did a great job!!! Could not have pulled it off without you! All of our wedding guests thought you were amazing! My parents and Joel’s parent’s can’t stop talking about you and how essential your roll was for a successful wedding. Just wanted to send a quick note thanking you for all your hard work, as well as tell you what a wonderful job Robyn did yesterday. We so appreciated all her help and she did such an excellent job – nothing but glowing reviews from us & our guests!! Only six weeks before our wedding, my husband and I decided we needed a day of coordinator. We were having a wedding of 65 people, at a venue that was very capable, with a great DJ and Photographer, so we thought we didn’t need one. We were wrong! So, so wrong! Holly did a wonderful job of following the directions I gave her, setting out the decorations, coordinating the vendors, keeping it on schedule, and running the rehearsal. Having her there, allowed us to be completely absorbed in enjoying the day. I didn’t even know what time it was most of the night! At one point before grand entrance, Holly was trying to wrangle our bridal party (who at that point were a few drinks in), and my husband looks at me and says thank god that’s not us! Not to mention, she answers all of your emails and texts from the moment you hire her. She helps coordinate all of the vendors the month and week before, and she’s affordable too! Thank you Holly! I met Holly two weeks ago when I was a bridesmaid for a friend’s wedding in San Diego, and I couldn’t have been more impressed! Holly is exactly the kind of coordinator I would want at my wedding. She was organized, her instructions were clear and concise, and she helped our frantic bride relax on her special day. Holly was the picture of professionalism. I helped the bride finalize the details in the weeks preceding the event; whenever I would e-mail or text Holly she would respond promptly and help allay any concerns we had. The day of the rehearsal she was able to get our large rowdy group to run through the ceremony a few times, answer our questions, review the setup, and she wrapped everything up quickly and efficiently so we could go enjoy our rehearsal dinner. On the morning of, our group was meeting at a Hotel about 25 miles from the venue for makeup and pictures while Holly was at the venue overseeing the setup. Instead of bothering the bride-to-be, Holly and I texted over some last minute details which really helped the Bride relax and enjoy her day. During the event it was evident that Holly had mastered the skill of managing the wedding. I was able to just hand her the envelopes of payments for the different vendors at the wedding and she made sure that everybody was paid and that Bride and Groom didn’t have to worry about anything. She ensured that the Bride and Groom had full plates and glasses by the time they sat down, she made sure that the DJ had the last minute changes we requested, and most importantly- she made sure that the Bride and Groom had the best day of their lives. I could go on and on about how professional she was, how much attention to detail she had, and just how much of a nice person she is! Once my big day comes I will be giving Holly a call! Holly was absolutely awesome! From the first time we meet to the end of the wedding I was at complete ease with her. She is a true professional from start to finish. She called all my venders had everything ready to go in the exact layout and timeline we discussed. Our wedding was flawless or so it seemed with Holly. 🙂 I would highly recommend her to anyone planning a wedding or large event. Thank you again for being such an amazing day-of. You really made the day go smooth and worry-free. So happy I found you! Thanks! I can’t say enough about Holly! We couldn’t have pulled this wedding off without her. Although we hired her as a wedding “day” planner she provided an event timelines, numerous suggestions regarding floral arrangements, music and practical solutions to the numerous logistical problems you have at a wedding. During the rehearsal she was there on time and ready and on wedding day she was everywhere coordinating with the vendors, making sure the reception decorations were “right” and covering last minute issues. One of Holly’s talents is the ability to project a very calm, confident demeanor during a time where things could get high stressed!! I would recommend Holly without reservation. Holly was our day of wedding coordinator for our wedding on March 20, 2014 and was an absolute pleasure to work with! Her services were friendly, very organized, patient and flexible. She listened and followed through with our set up making sure everything was perfect! I had a vision of what I wanted the ceremony and reception decorations to look like and Holly made it come to life. We had no worries on our wedding day with the limited time frame that we had because she made sure everything ran smoothly and on time. At the end of the wedding she was there to make sure our gifts and decorations made it back to us. We would highly recommend Holly to anyone for a day of wedding coordinator as we were very pleased with her services! Thank you, Holly! What can I say Holly is amazing! I could not have been happier with working with Holly. She has an amazing eye for style, and takes the initiative to assist in creating the perfect wedding day. She has GREAT contacts – do not be afraid to use them! Not only was my wedding beautiful, but it ran smoothly. Everyone knows that a wedding can be stressful! I had very low tolerance for any hiccups. Holly’s contribution to our big day went so smoothly I didn’t have to worry about a thing. For everything in her control, she controlled! She made sure every detail was in place. Not only was she great to work with professionally, but by the time my wedding day was over, I felt as though I had a friend at my event helping me to celebrate. I would recommend her a million times over!! Not only did my friends and family comment to me about how great and on point she was from their observations – but my other vendors said she was the best wedding planner they had ever worked with!! That says everything about Holly. Holly! You are such a life saver! Thank you for all of your hard work in bringing our special day together! You were definitely a wonderful wedding present! Thanks! Thank you so much for everything you did to make sure our day was perfect. My family was so impressed with how organized, efficient and on top of everything you were with every detail of our day! I don’t know how we could have done it without you. I will definitely be referring you to friends! Thank you so so much! We couldn’t have done it without you! You were the biggest help ever to our day! We were able to sit back and just enjoy our day because we had you. Everything ran so smoothly and we have you to thank for that! Thank you again! I honestly think that hiring Holly Kalkin as my Day of Wedding Coordinator was one of the top three best choices that I made in my wedding planning!! (besides finding the perfect dress & perfect groom 🙂 Holly is so professional, kind & eager to impress. She took the time to listen to my vision for my wedding and went above & beyond to make sure it happened. She paid attention to the details that were most important to me and she made sure that it came together as I had planned. I especially appreciated the kindness & professionalism she displayed on our wedding day. She kept me, my bridal party & family members calm and on-time with the busy schedule of events. 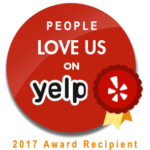 I received many compliments from my family & guests about Holly’s professionalism & kind demonor…she was a pleasure to work with! I have to say, what I liked most about working with Holly is that she truly cares. She wholeheartedly wanted my wedding day to go as well as I did. She is genuine and hard working. I trusted Holly in helping me pull off one of the most important days in my life and she delivered. I would hire her again in a heart beat. Holly is incredible and absolutely essential for any bride-to-be that you may know! I have referred Holly to two very different brides, and they both felt that she greatly exceeded their expectations on their wedding day (well, all the way from the initial consult, to the rehearsal, the ceremony, and then the reception, actually!). Holly has phenomenal attention to detail, is tremendous with all people, knows how to conduct business with vendors and keep them on track and organized, and also knows weddings inside and out!! The brides she worked for both said that they simply couldn’t have enjoyed one of the biggest days of their life without her involvement. One of the brides she worked for actually made a point of pulling me aside during the reception to tell me: “Holly is AWESOME! THANK YOU!” I recommend and refer Holly with reservation. You will not find a better wedding coordinator!